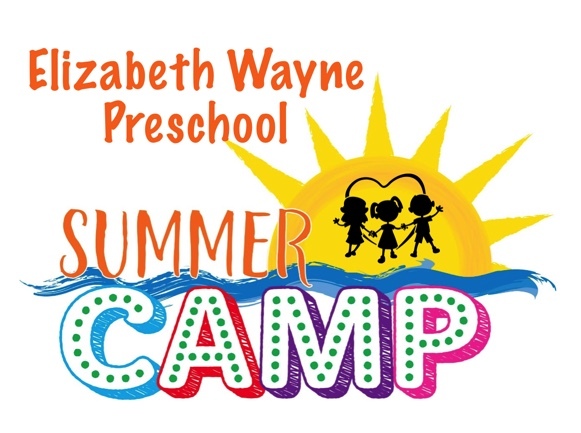 Elizabeth Wayne Preschool is excited to invite your child to join us for a fun filled summer! Our camps will offer numerous educational activities with a core basis in S.T.E.A.M. (Science, Technology, Engineering, Art and Music). Your child will be encouraged to build, create, experiment and problem solve while having fun. These camps will offer preschool and kindergarten readiness to help students transition from summer to fall. Summer Camp will run for six weeks between June and July. Each week is open to all current and incoming EWP students. Students must be potty trained and all enrollment and medical forms must be up to date. Campers may register for as many weeks as their summer schedule permits. A discount will be provided for those registering for all six weeks. To register your child click here. *Water play will also be offered twice a week. Teachers will notify parents on which days they will be held, and campers will be expected to wear his/her swimsuit to camp. Get ready to build and demolish! During construction week students will build with their imagination. Doesn’t matter if they’re building the tallest tower or the kookiest city, students will create their dreams! Mud pies or chocolate pies? During this week students will become master chefs and create their own delicious delectables! Whether they are using real baking ingredients or mud from outside – your child will have a great time! We will step back into time as we explore dinosaurs. Through dinosaur egg hunts, fossil digging and much more, your child will leave summer camp with Dino-Fever! They’re creepy and they’re crawly – it’s a bugs life! Join us as we search for insects and learn about what they do. There is no bug too creepy or crawly for us to learn about. Life is beachy at EWP! Put on your sunscreen and grab sunglasses and get ready to make sandcastles and build ships to sail the ocean seas! Keep and eye out for pirates…ARGGGG! Our finale week we will wrap up with a camping adventure. We are bringing the woods to us as we build tents, tell stories and eat s’mores. This will be our summer farewell at EWP!